This dainty silver necklace gives a pop of powerful turquoise. The natural Kazakhstan Lavender Turquoise is cut by a U.S. lapidary I have worked with for a long tome and trust completely. This is a one of a kind necklace, as each stone I purchase is cut in order to make the most of the turquoise, no matter what shape. 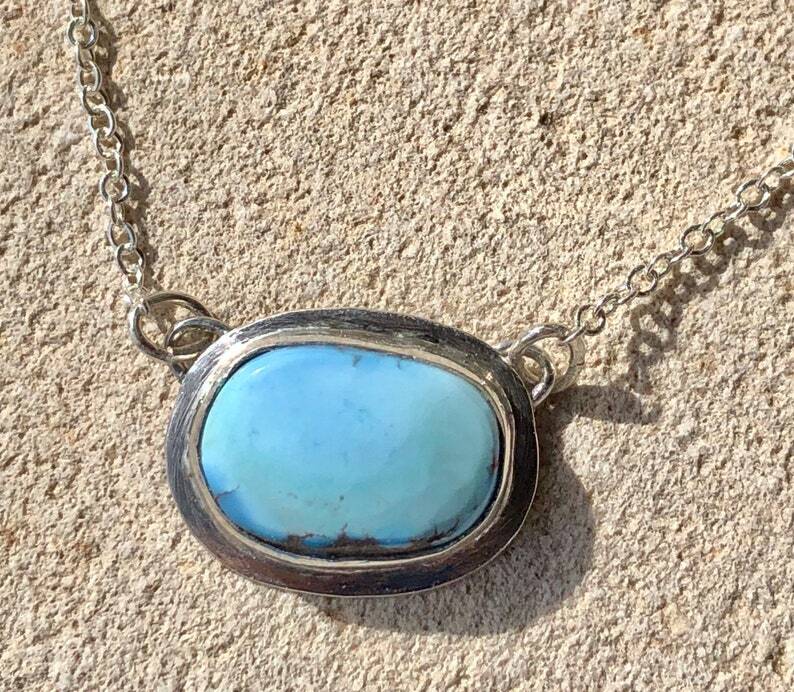 Boho chic, southwestern — call it what you want — the simplicity of the stunning turquoise and shimmering silver will make this a “go to” piece for years to come! The stone measures 13mm x 9mm and the overall pendant is 16mm x 13mm. 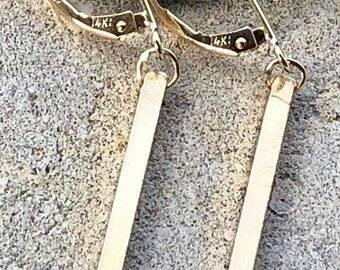 I used a very fine 1.3mm sterling silver chain, and the total length of the necklace is 17.5 inches. I hand made the bezel setting so the stone is cradled securely and framed with a little sparkle. It sits perfectly as either a princess or choker necklace, depending on the wearer’s size. Finished with the Beamagiklamp quality silver tag. This beauty is ready to ship!